It’s not often we get a new hiking trail in the Columbia River Gorge. 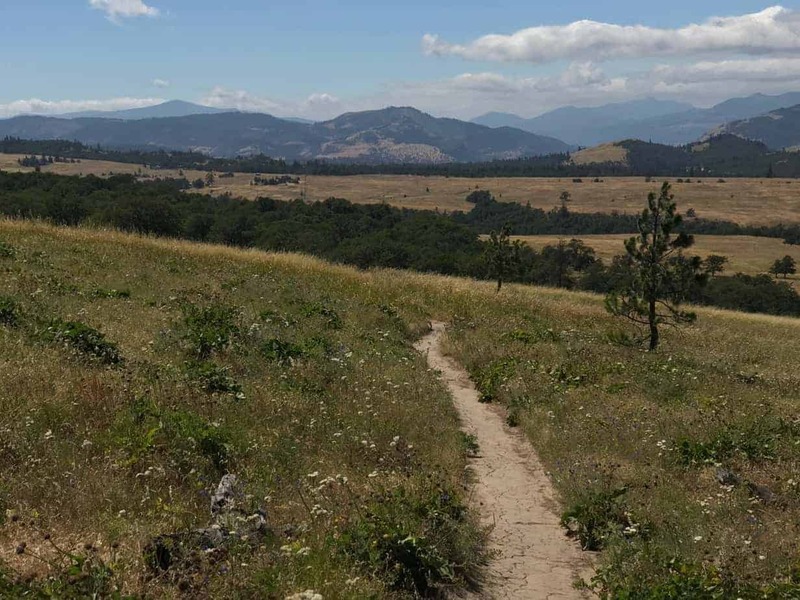 But the Mosier Plateau Trail is just that, and a most welcome one as well. 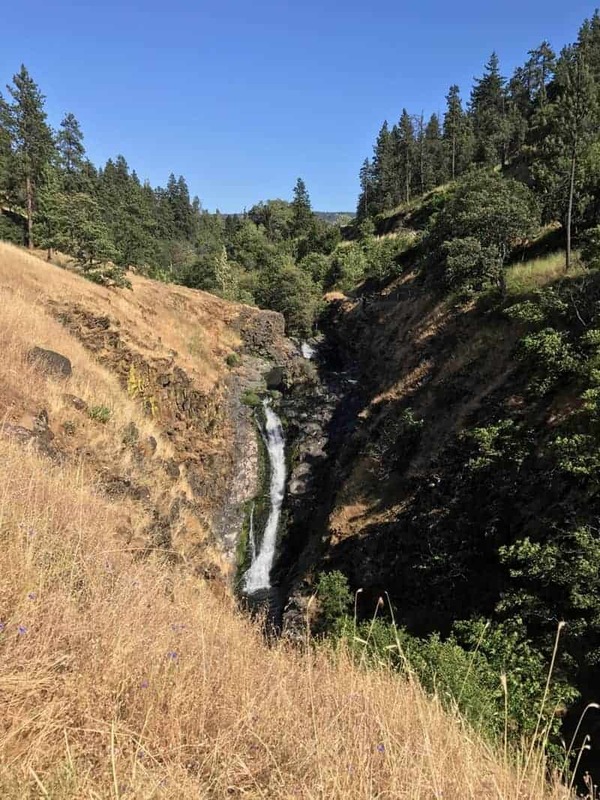 100-foot Mosier Creek Falls is just one attraction on this easy hike. Since I moved to Oregon in 1996, I can think of only handful of trails that have come online in the area: Cape Horn is an obvious example. The complex of Catherine Creek, Coyote Wall and the Labyrinth were being hiked but now have signs and official trails and appear on maps. Lyle Cherry Orchard is another. And … that’s about it, I think. 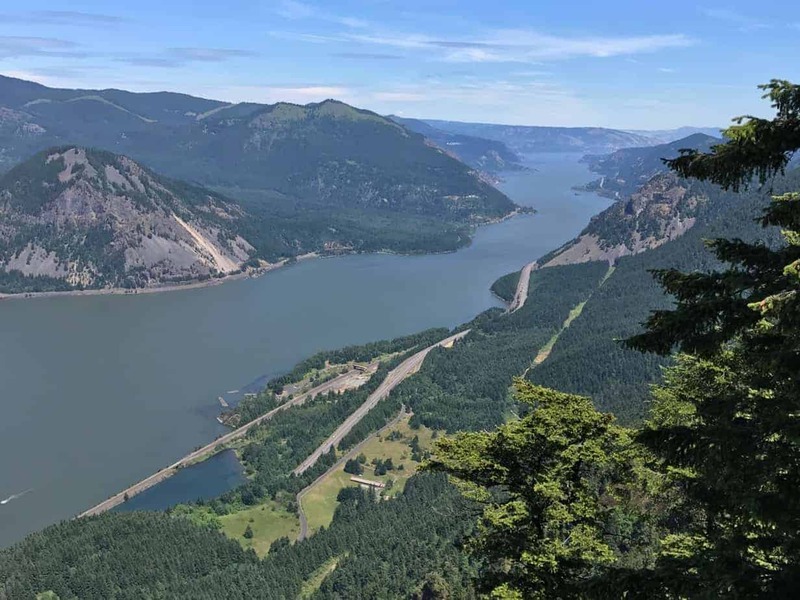 There is a common thread in at least two of those: the Friends of the Columbia River Gorge. 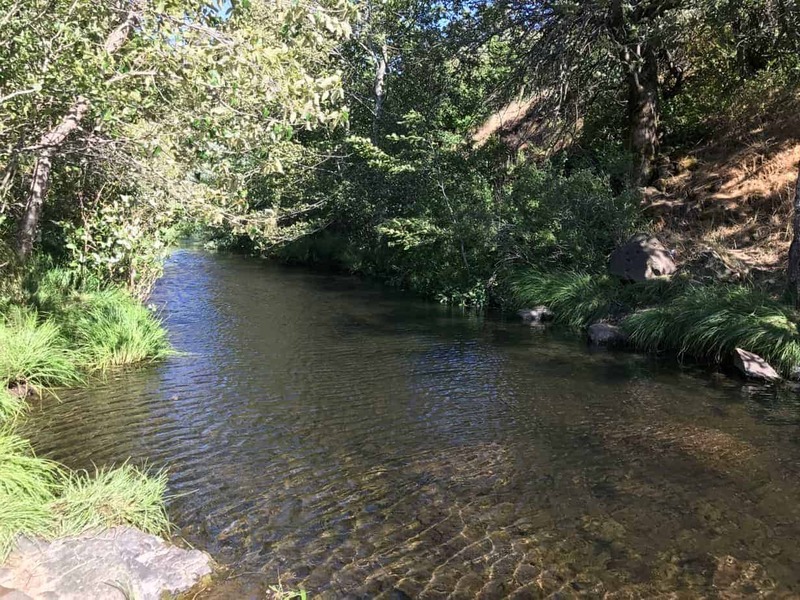 Again, they are involved with the latest addition, a 3.5-mile loop that starts and ends in the lovely little town of Mosier. 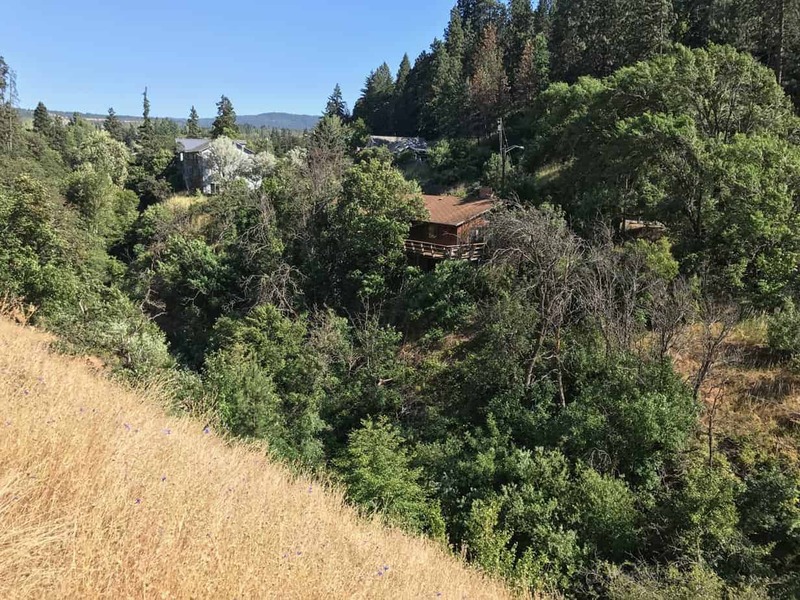 It’s a sweet little trail, with history and a waterfall and a swimming hole, and viewpoints packed with spring wildflowers. But it’s a lot more than that. It was the first link in the Friends’ Towns to Trails Project — which I will go to my grave saying should be called Trails to Towns. 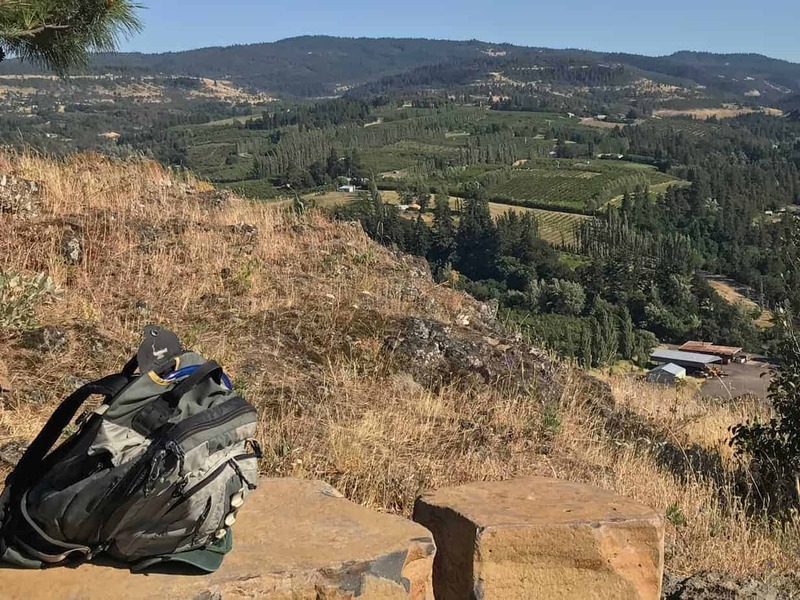 But never mind that; it’s an awesome idea that boils down to this: a massive loop of walking routes that connects both sides of the Gorge in a 200-mile loop of trails, historic roads, B&Bs, towns, wineries, breweries, scenic vistas, wildlife habitat, and so on. Pretty magical, really. So this isn’t “just” a trail, and in fact you will notice that as you look for the trailhead … which doesn’t exist. 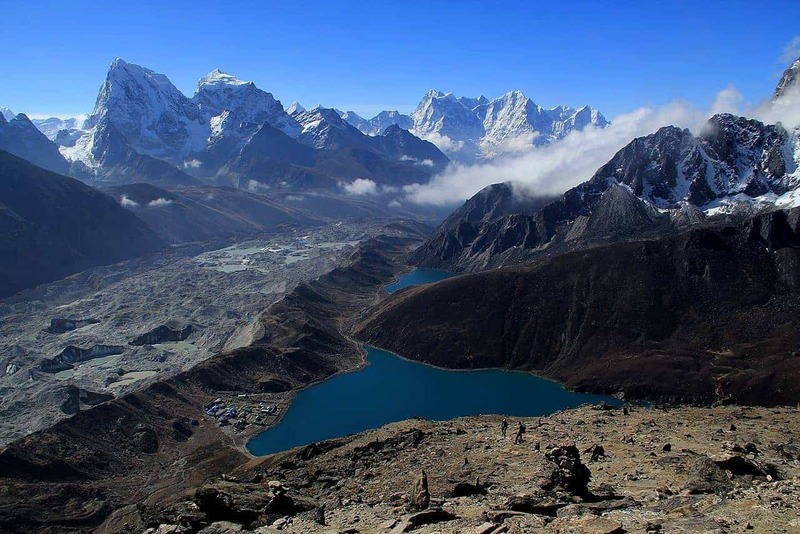 The whole idea of Trails to Towns to Trails is that you are hiking into and out of towns. So you’ll park in a public lot, walk through the town a ways to hit the trail, and then go for a cider or some ice cream afterwards. It’s proper civilized hiking and touring! 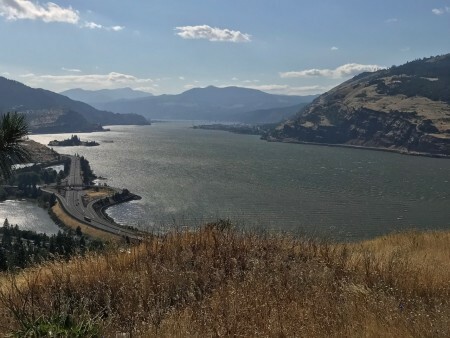 Looking west from Mosier Viewpoint. 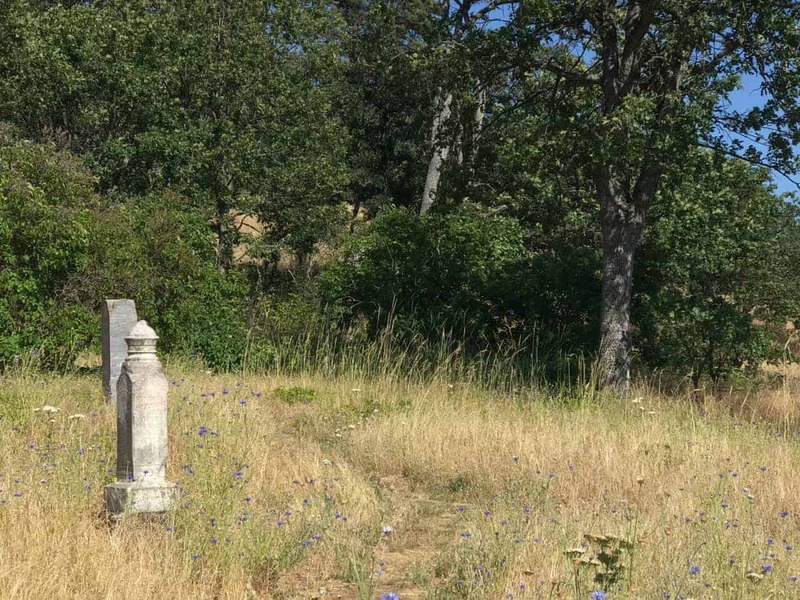 In a minute or so you’ll see some of the old graves, which include members of the actual Mosier family. 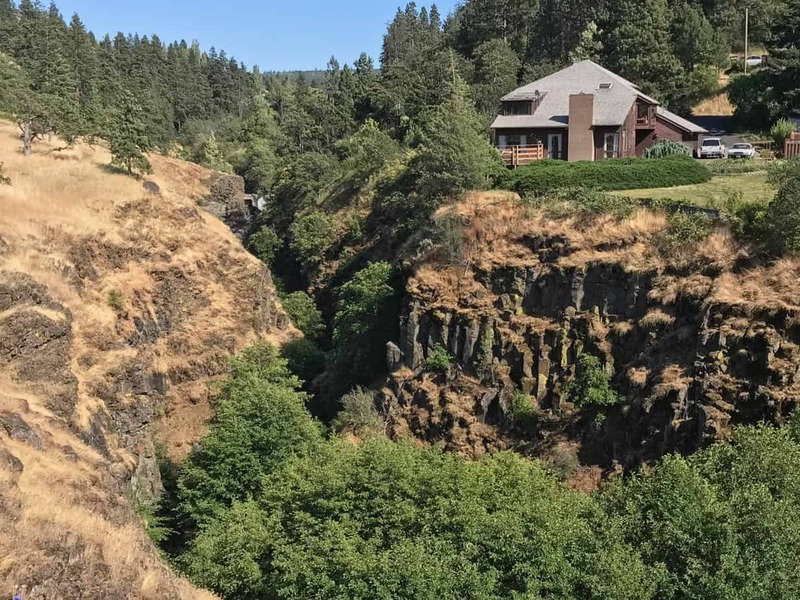 You’ll then pass some houses that might make you wish you had money, as well as a viewpoint of Mosier Creek Falls, pictured above. At the top of the falls, look for a faint trail on the right, leading down to the top of the falls and a sweet swimming hole. When I was there in late June, kids were jumping off the cliffs into the water. So then I wished I had money and was younger! Form there, the trail climbs a bit before reaching the real highlight, Mosier Viewpoint, pictured at the top of this post; the view detail is to the right. 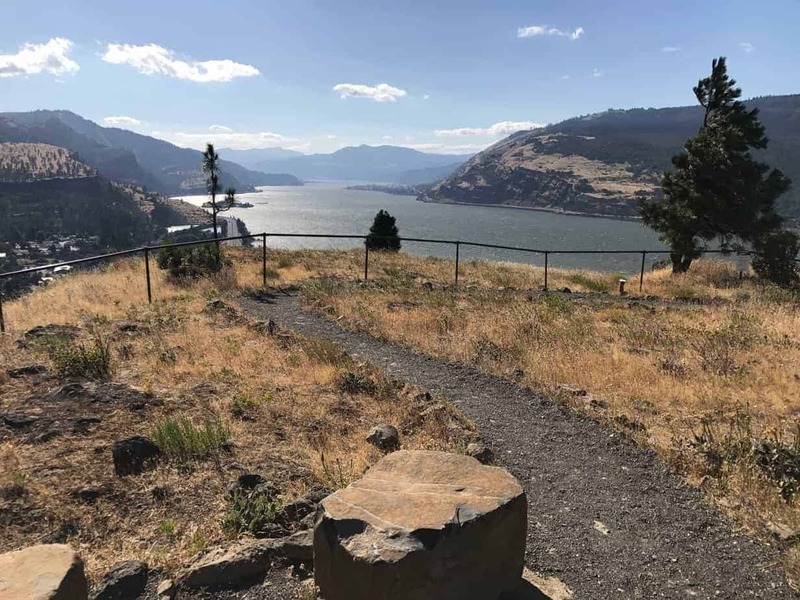 Beyond that view, you’ll wind along and down the slope for another half mile before hitting a loop that includes a great view of the Coyote Wall and Labyrinth area (officially known as the Syncline) across the Columbia. 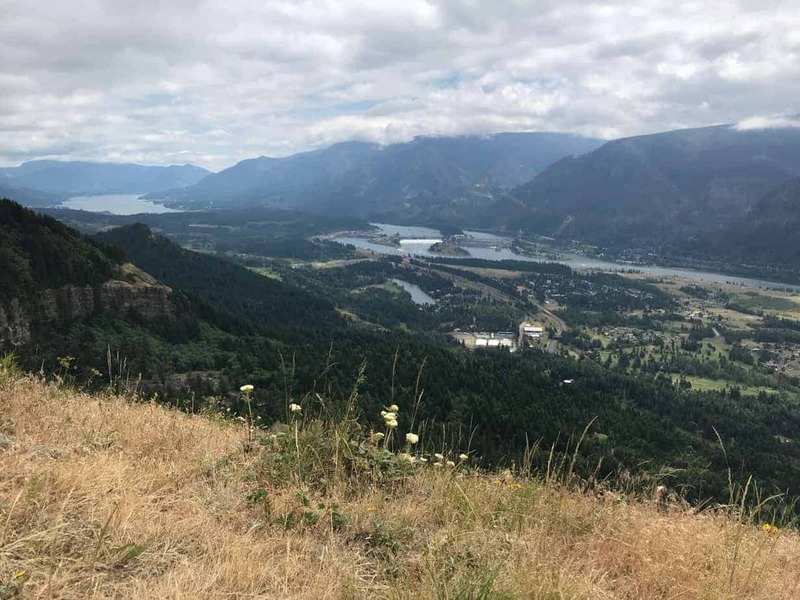 I didn’t make it past the Mosier Viewpoint, because (A) this was my third hike on a pretty warm day, and (B) I had seen the ice cream place back in town. So … we’ll call it good here. 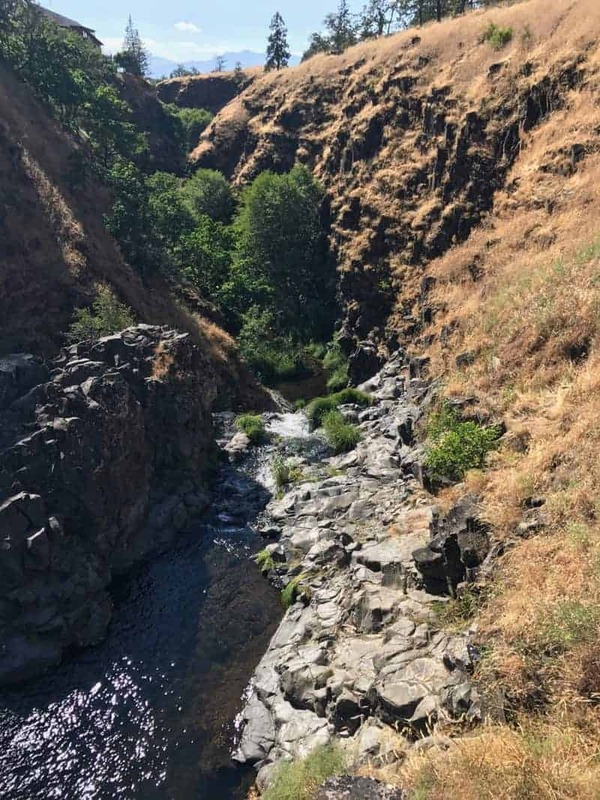 As you can see in the Grant’s Getaways segment, though, this looks like one of the best wildflower spots in the Columbia River Gorge. So what I did was two miles with about 500 feet of elevation gain. The whole thing is 3.5 with 620′ of gain. Here is my Gaia track, which you can see in full here. 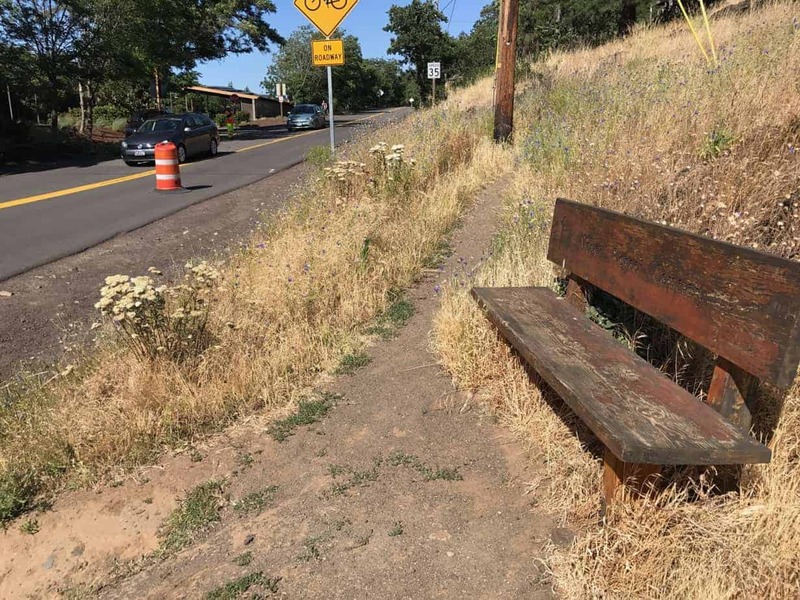 This hike starts at a roadside bench, not a traditional trailhead. Dream House #1 above the creek. Looking downstream from the top of the falls. 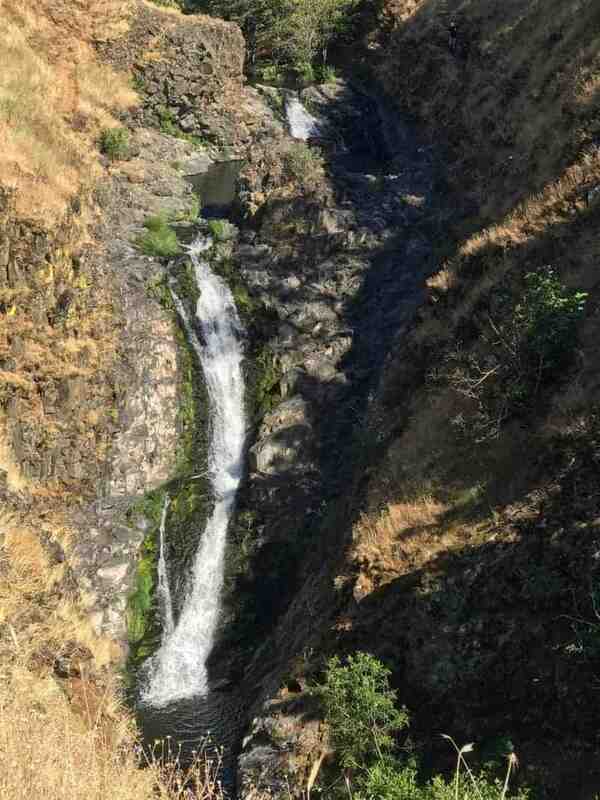 Mosier Creek just above the falls. Dream House #2 above the creek. Mosier Viewpoint and its stone seats. 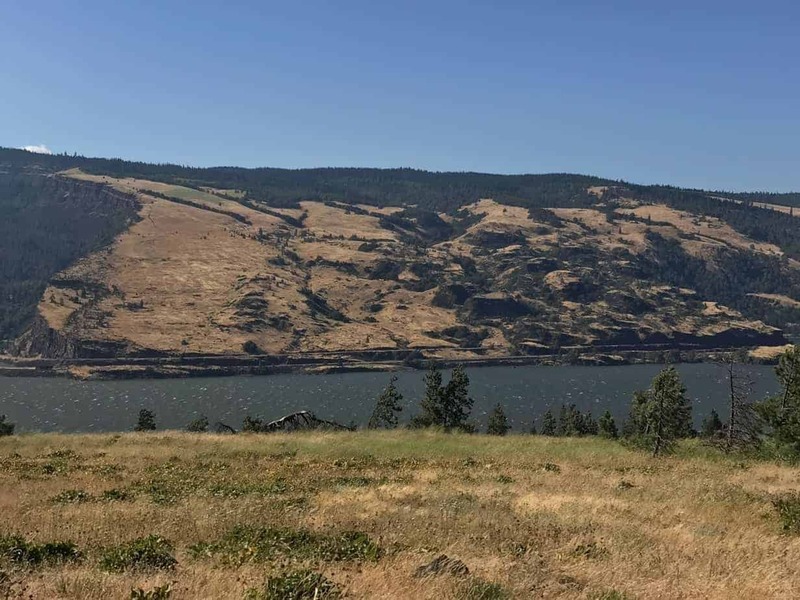 The Syncline (aka Coyote Wall and the Labyrinth) across the Columbia. Looking south into the cherry orchards. Nice little break a the end of a lovely day hiking in the Gorge. 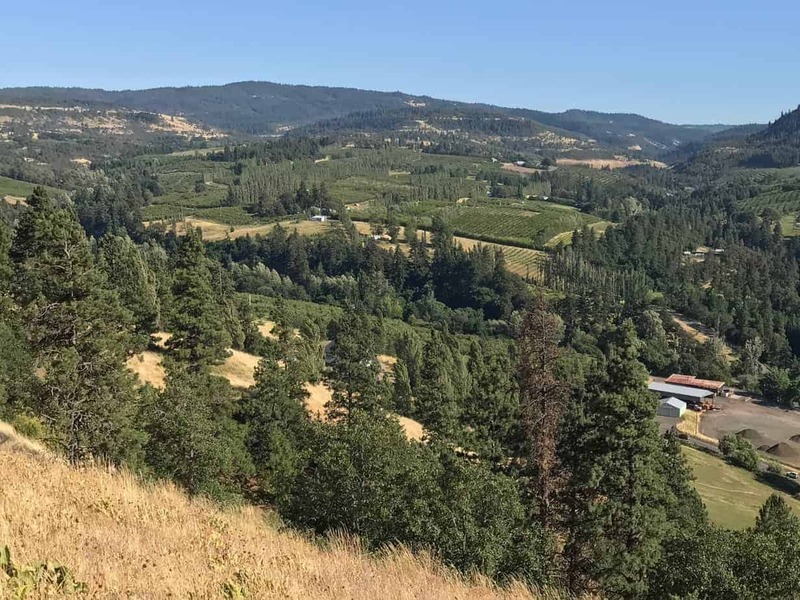 View south of the cherry orchards in Mosier Valley. It’s great to see some new trails coming along in the Gorge. And it’s great to see that we are connecting so many trails to towns out there (see how it makes more sense?). Whatever you call it, the Friends are onto something, and we’re all fortunate they and others are doing work like this.